Preconstruction Open House will be held on Thursday, April 25! The 13-21 Preconstruction Open House has been rescheduled for Thursday, April 25, at Fong’s Restaurant from 4-6 p.m. We hope to see you there! Construction begins in Spring 2019! 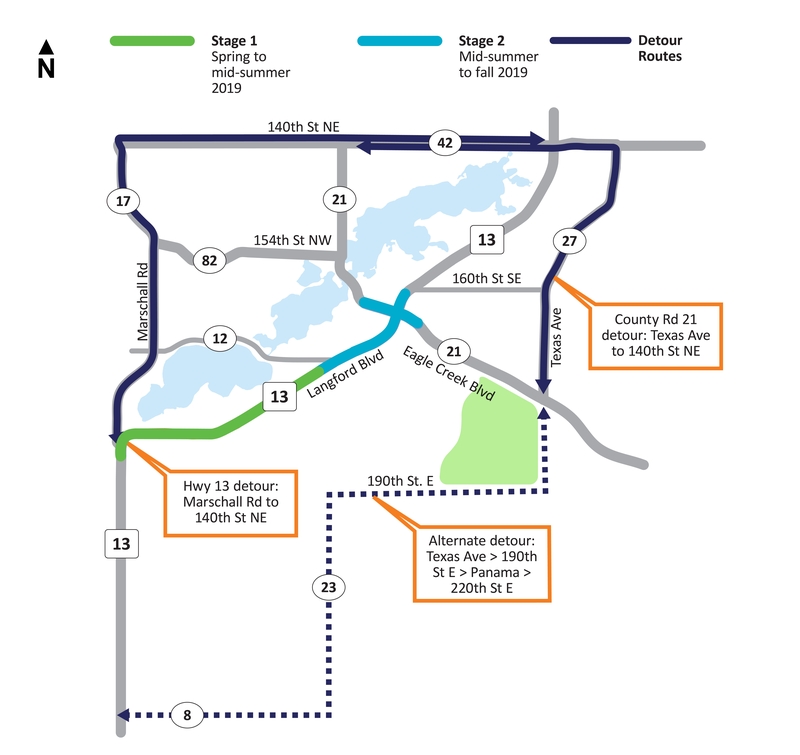 The 13-21 Downtown Improvement Project is being constructed in conjunction MnDOT’s Trunk Highway (TH) 13 Reconstruction Project and the Duluth Ave Intersection Improvements project. 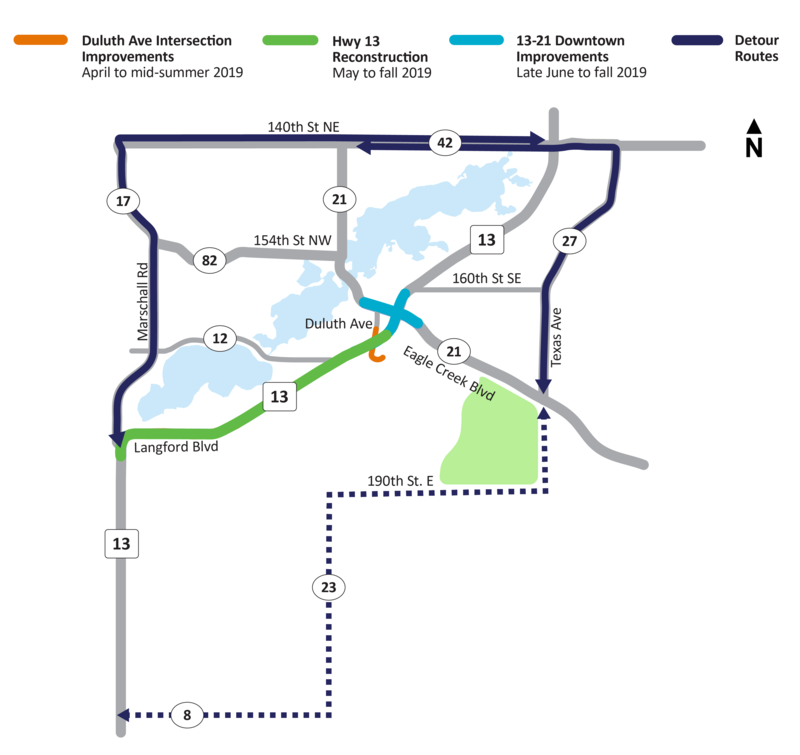 The Duluth Ave Intersection Improvement project begins in April, the Hwy 13 Reconstruction project begins in May, and the 13-21 Downtown Improvement Project begins in late June. Check out the specific staging schedule and detour information. Check out this video to see what is being built on County Highway 21 and the 13-21 intersection. Check the Duluth Ave website to view improvements to Duluth Ave.
Highway 13 work includes resurfacing and drainage improvemetns. 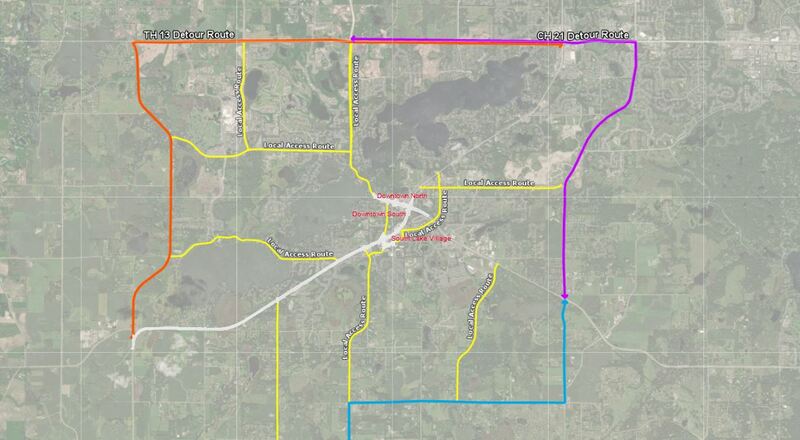 Check out MnDOT’s project website for more info. Construction of the Moving Forward 13-21 project will not occur all at once. Instead, the project area will be broken down into sub-stages so that the entire roadway is not closed at one time. Check out the specific staging schedule and detour information. Click on the image below to view an interactive staging timeline! Check back weekly once the project begins for updates!